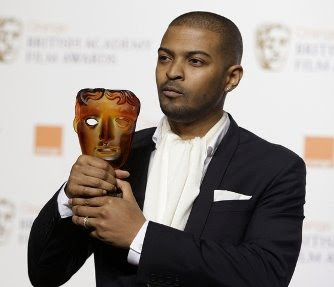 Congratulations and all that good stuff goes out to Noel Clarke for picking up a BAFTA Award at last night’s star-studded ceremony. The actor/director won the Orange Rising Star Award, the only accolade to be voted by the public. Meanwhile across the pond, my girl Estelle was wowing her American boy plus countless others at the illustrious Grammy Awards, where she not only performed with Kanye West, but also picked up a Grammy for best rap/sung collabo. Psst, I’ve got a confession to make. I really liked Estelle’s outfit, although I know it’s been panned by the critics for it’s salutary nod to Dr Spock and his Star Trek cohorts. Hmph, whatever. They just don’t know style. 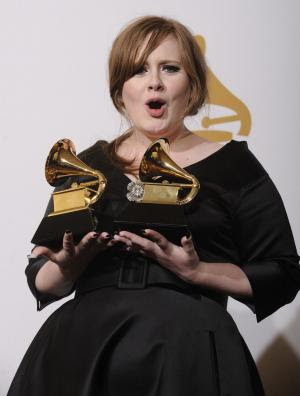 It certainly was a great night for the Brits. Witnessing the likes of Adele, Coldplay, Duffy and M.I.A receive their props made me feel quite a sense of pride (although to be quite honest I was mortified at M.I.A’s ill-fitting dress and cringe-worthy performance) . I definitely feel there’s a strong resurgence in British popular culture that the world probably hasn’t witnessed since the swinging sixties. Yay Britannia! As per usual, I stayed up waaaay past my bedtime to watch the frocks, shocks and frolics that was the Grammy Awards Red Carpet Arrivals on the E Channel. Such compulsive viewing, I tell ya. First up was the visibly uncomfortable interview between Red Carpet host Ryan Seacrest as he tried his best to avoid foot in mouth disease whilst interviewing Jennifer Hudson (welcome back Jen). He definitely tore up the rule book though when it came to interviewing T.I. The normally cool and debonair American Idol host within a heartbeat transformed into our very own Jeremy Paxman, his line of questioning as follows: “So you’re going to prison for having a carload of guns? (cue: awkward response). "And you've learned from this experience, right.” (add another awkward response). Talk about random. And so widely inappropriate considering the occasion. But nothing however could top the news coming in from sidelines. One minute we were witnessing a live televised dressing down, the next we’re being told that Chris Brown won't be appearing due to his arrest earlier that morning for felony battery. Huh? Sounded well dodgy. But as the story materialisesd it became apparent it was indeed true, and his young lover, Rihanna (who also cancelled her appearance), seemed to be the unnamed victim of the alleged assault. The gossip blogs are currently going into overdrive, salivating over a variety of salacious stories which lay claim to know the reason behind the altercation. Whatever the case, I think it’s pretty sad. To lose it so badly gives us some an indication of the kind of pressure cooker environment that these young stars are under. Let’s not forget that behind the diamond studded earrings, and Gucci shoes, lie just a couple of kids.